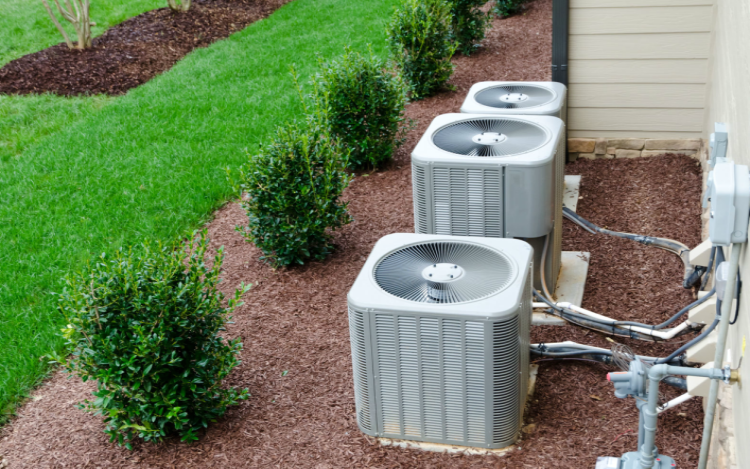 HVAC stands for Heating, Ventilation, and Air Conditioning, and is responsible for keeping your home cool, warm, and free of moisture year-round. When an HVAC system begins to malfunction, it can be difficult to identify. However, the more you know about the components of your HVAC system, you’ll be able to pinpoint the problem in the future. The air return vents are the starting point to your home’s ventilation cycle. The vents pull fresh air into your house, sucking it through a filter that removes dirt and debris. Then pushes out that clean air into the central part of your HVAC system and is heated or cooled. After passing through the filter, the air moves to your heating appliance. In most homes this is your furnace. Your furnace’s burners will burn fuel to warm the air in the heat exchangers. Then, a blower pushes the heated air through the building and uses a flue to exhaust the toxic by-product. When lowering the temperature of your home, air is pulled into your air return vents and goes to your central air conditioning unit. The air is drawn through a series of coils loaded with refrigerant. These coils cool the air, then pass through your home. After your home has been warmed or cooled, the work of your HVAC system is not finished. Residential and commercial properties need to exhale the excess moisture. Too much moisture can lead to building. Your ventilation system works to pull in fresh air through the air return and push out stale air through a combination of vents. The next time your HVAC system malfunctions, you’ll now be able to identify the problem source area and its correct function.